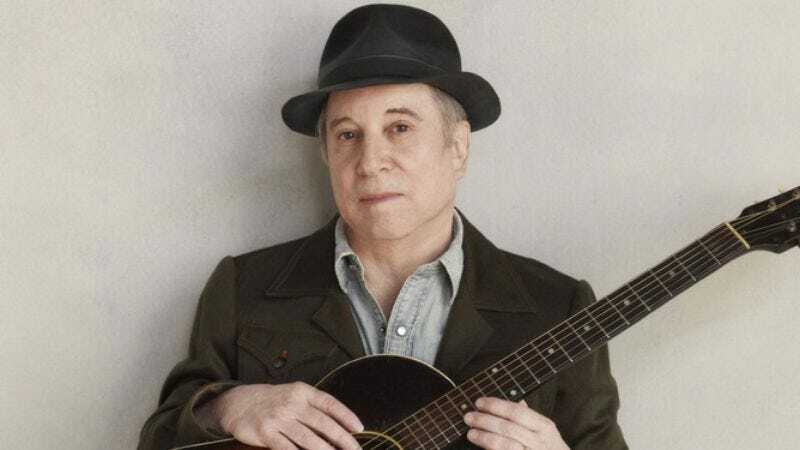 Just as Hearts And Bones is unfairly dismissed as Paul Simon’s misstep before Graceland, The Rhythm Of The Saints is too often described as the lackluster follow-up to the 1986 masterpiece. Though it’s understandable that the records are considered companion pieces—both Graceland and Saints find Simon taking cues from other cultures, and the records share some personnel—they’re very different albums. Graceland’s strength is its wild diversity: Simon shifts from South African pop to Zydeco, full band to a cappella, and all at a moment’s notice. The Rhythm Of The Saints, which draws primarily from percussion styles of Brazil and West Africa and has consistently airy, crisp production, is more unified in style and tone. That consistency may explain why “Thelma,” a groove-oriented, borderline jaunty song, was left off the record (it later resurfaced on Simon’s 1964-1993 box set, as well as on the Saints reissues as a bonus track). The Rhythm Of The Saints is many things, but “jaunty” isn’t one of them. The song’s only possible Saints complement is the peppy, conversational “Proof”; “Thelma” would otherwise stick out like a sore thumb. But what a sore thumb it is. The nimble work of Cameroonian guitarist Vincent Nguini lends “Thelma” some levity, but the song’s groove is deep and heavy. And while it contains some of Simon’s late-period imagistic lyrics (“Last night I slept on a rented pillow / A silver moon above my head”), many of its verses are also strikingly, wittily specific: “People aware of my history / Trying to steer you away from me / I left a message at your hotel / Don’t let management poison the well.” This is an old-fashioned love song, the kind Simon didn’t do much in 1990 (or, arguably, ever). Perhaps it’s for the best that “Thelma” was left on the cutting-room floor. It’s now a perpetual underdog, but a pleasant surprise when it pops up on shuffle. Just like its narrator, “Thelma” is a romantic idealist in search of a home.